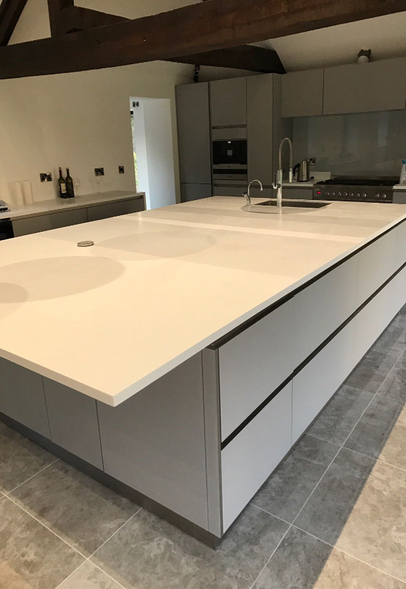 Some great before and after images sent in by our customers Charlotte and Steve James who have converted their barn beautifully, our thanks to them for the photo’s. 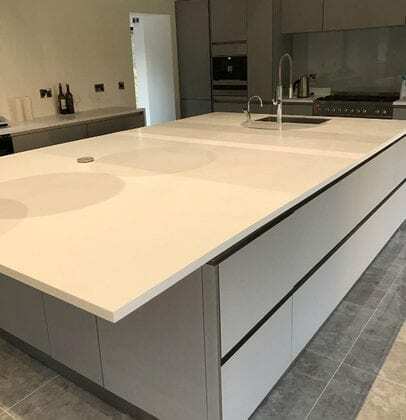 The colour of the units is Stone grey in glass matt finish from our Next125 range. 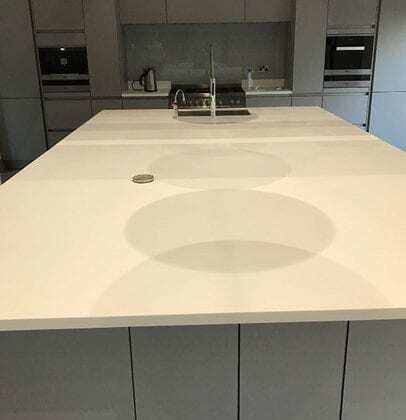 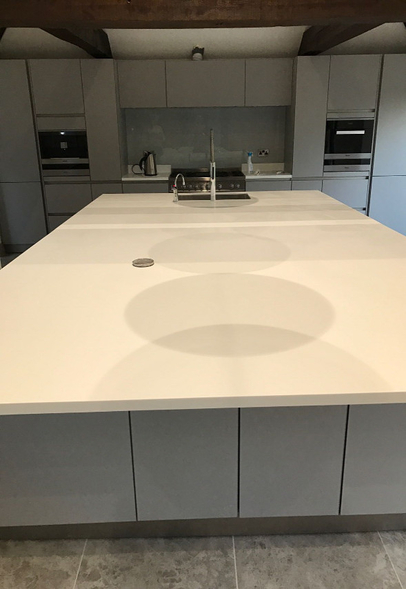 The worktop, possibly the biggest we’ve done so far is Glacier white colour in Corian material.